Bali has something for everyone in terms of night-life. Whether you want to put on your best outfit and dance the night away, or just sip on some cocktails a nd watch the world go by, you will find a spot that was made for you. Bali offers cheap drinks and the locals often mingle with tourists, so wherever you go, you can expect to make some new friends. If you want to have a night on the tiles, it might be wise to have a late afternoon nap. Nightlife in Bali does not really kick off until after midnight. 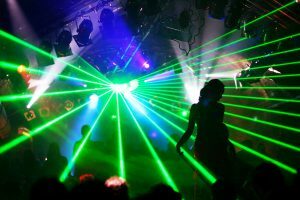 The two main spots for clubbing are Kuta for the younger and more wild crowd and Seminyak for the more refined clubber. Bali has also adopted the mega club concept, where you can find everything from restaurants to bars and dance clubs all under one roof. The concept of rooftop lounges is also gaining traction and they are becoming ever more popular. Happy Hour promotions are very popular and many bars and clubs will have some form of offer or discount going every day. Bali is generally safe, but do watch yourself and make sure that you do not, under any circumstance, have any drugs in your possession or be under the influence of drugs. There are no enforced closing hours, so this is why the club scene starts late. It is not uncommon for the clubs to still be pumping music out by the morning. Kuta tends to attract a younger crowd and clubs normally play R&B, Top 40 tracks and mainstream dance music. Seminyak is for the more discerning clubber and most venues play a mixture of club dance, dubstep, house and whatever else tends to be popular on the world wide club scene. While Bali’s nightlife can be wild, the island is still very peaceful and men are told not to take off their shirts at night and in clubs.